This is my first foray into Potter!verse fic. I got hit with the urge to write. This came from the prompt i must confess you're my safety pin, hold me together hide me well. 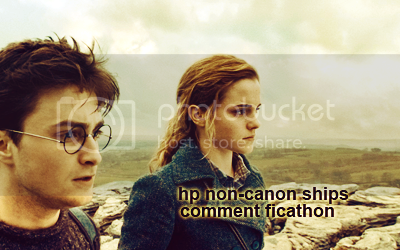 over at the non-canon ficathon. Ron told him once we wouldn't last two days without her. She knows this because Harry told her. She knows because it's the honest truth. Somewhere between the end of the tournament and the beginnings of an idea for an army of children she faced the fact that maybe they were never meant to be children. That was meant for generations after. It hits her later (again) at the oddest of times, when she’s doing something particularly domestic and mundane like folding sheets or drying a dish. Why you don’t use charms or spells, Ron starts to accuse. He backs off, hands surrendered midair when she gives him that same look of exhausted patience when he’d trade off doing the easy thing versus the right thing while they were in school. She needs the structure, the steady rhythm of her body in motion, doing things with effort. Something needs to remind her of her former life. A life made of before, when magic was bright and wonderful, a time of discovery and fascination. Now she has a harder time navigating the lighter moments without some horrible memory nipping at the edges of her heart. Logically she knows it’s over. The fighting done and battles chronicled in headstones and scars, the measure of loss unquantifiable in words or statistics. It hits her then too, when she’s working for the betterment of restructuring the ministry and he’s there listening to her like she’s the only thing in a roomful of robed officials worth paying attention to. She feels him watching her as she proposes a new motion to equalise the status of giants and elves and all other previously discriminated against magical creatures thought of as ‘lesser’. Mudblood itches on her forearm and she fights not to fiddle with the cuffs of her sleeves. His eyes are riveted to her for the rest of the session. I wish you wouldn’t do that, she tells him later but then regrets ever telling him when he reminds her she’s the only one with brilliant ideas in the whole entire ministry equipped with the power and ability to get it done. Really Harry, she says as she tries not to blush at that. It’s always been the two of them against the world he tells her and squeezes her hand. He’s better now with words and telling her what he really means, feels. It reminds her of cold wintry nights huddled against the waning heat of a fire, trying to keep herself together for her world, her parents, for Ron. They were so wrapped in silence. They were so wrapped in all that was tucked away, as if it would break if ever it was given voice. He’s better now with words but sometimes, like now, when he passes her one of Molly’s freshly rinsed plates, he tells her things that make her think he’s trying to tell her something else. It hits her hard, deep in her gut and twists. They were never meant to be children. Tags: fronting as a scribe: fanfic, potter!verse, potter!verse: kiiiiiiiiiids, ships ahoy!